Open 7 days from midday till late. Mama Loco is a funky neighborhood joint located on the exterior of Albany Westfield Shopping Mall on Auckland's North Shore. We love delicious modern Mexican food plus we love tequila + good music. Add it all up and you've arrived at Mama Loco's crazy house. Hola! Our delicious, Mexican cuisine is made for sharing and our specialty drinks are sure to impress. The deck is the best spot on the North Shore with all day sun +is the perfect place to sit back + enjoy some food + a chilled Sangria. Deliciously tasty food, lovely service. Would thoroughly recommend. Even managed to put together something for those in the group that can’t handle spicy heat. Epic. Can't speak highly enough of this awesome place. The food and drinks are always spot on and the staff are super friendly and accommodating, now matter how much attention or help you need. We booked Mama Loco for our staff Christmas party and were so impressed. The table was decorated beautifully with a lovely Christmas message which made us feel very special. The food was amazing and plenty of it and the Sangria was fabulous! Lara was great to deal with and we felt in good hands in the lead up to our party as well as on the day. Would highly recommend booking your party here! We had such a great evening at Mama Loco for our staff Christmas party! The whole booking process was super easy and accommodating. Staff were lovely and food was delicious! Thank you so much!! Thanks for looking after us for Katrina’s 50th! Everbody loved the food and the space was perfect for us. Thanks to the awesome staff and especially Esther who made us all feel well looked after. We will definitely be back! Thank you for hosting our little leaving party for a work mate. The tables were decorated and the sign you made was brilliant! Thank you! The staff were really accomadating and the drink cocktails were amazing. It would be good if mentioned somewhere on the menu or by the waiter the level of spice. I dont expect all Mexican food to be hot and near burnt my tongue and lips off on a few items on the share platter. Staff were great though and gave lots of Sour cream to help reduce the heat. Great dinner ..good place for family dining as ther is something for everyone. A bunch of mates and I went to Mama Loco's for their dinner & movie deal, and it was fantastic! Great value for money, delicious and well portioned meals, excellent atmosphere and a very helpful staff team. Will definitely go again. 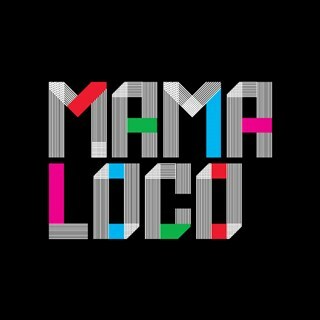 Thanks so much to the team at Mama Loco for making our event a fantastic one. The service was great and all staff were so accommodating. Cheers! Thanks so much to Savannah and the team for looking after our group of 20 on Friday night. We appreciated the speed of service, the staff were great & I would definitely recommend to others. Nachos were ok. Staff were amazing! Awesome time, thanks for hosting us! Can we please have the running total and drinks for the entire party so that we can budget for the next party in a couple months? Many thanks for a wonderfully relaxing meal with the family. The portions were good, the food tasty and the music was enjoyed by all. We heartily recommend Mama Loco. Absolutely loved our dinner experience :) the platter was awesome and such good value for money!